Kalispell, MT (July 23, 2015) – World Equestrian Brands, the North American distributer of the leading brands Equilibrium, Amerigo, Vespucci, and E. A. Mattes, is happy to be attending the much-anticipated Rebecca Farm eventing competition in Kalispell, Montana this week. Robin Moore, CEO of World Equestrian Brands, is offering her popular products for sale at Gallops Saddlery’s booth and cheering on World Equestrian Brands’ sponsored riders who are competing in the CCI3*, CCI2*, and CCI1* at the event. Show attendees can visit World Equestrian Brands at the booth of Gallops Saddlery, who World Equestrian Brands traditionally partners with at Rebecca Farm. Gallops Saddlery provides riding equipment to the eventing, hunter/jumper, dressage, and endurance disciplines within the Northwest region. “We’re happy to have maintained a long-term partnership with Gallops Saddlery,” said Moore. “We’ve set up with Gallops Saddlery at Rebecca Farm for years.” At Gallops Saddlery’s booth, Moore has World Equestrian Brands items such as saddles, bridles, girths, leg protection, saddle pads, and therapeutic equipment available for purchase. Two of the accomplished riders that World Equestrian Brands sponsors are competing at Rebecca Farm, sporting their favorite tack from the company. World Equestrian Brands is cheering on Buck Davidson Jr. in the CCI3* division. Davidson operates out of his self-owned facility in Ocala, Florida in the winters and Riegelsville, Pennsylvania during the summer months. 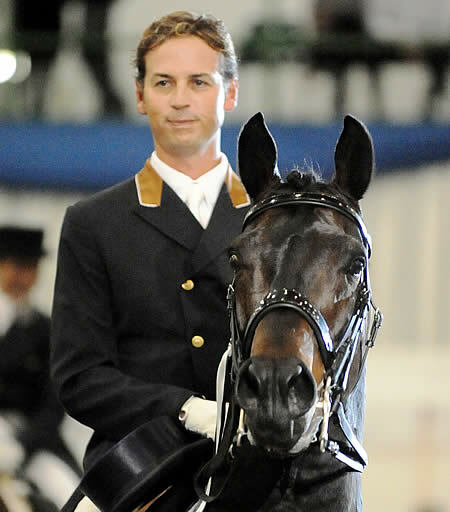 He has been successful coaching young riders as well as experienced professionals, and is best known for his own successes in competition. His mount at Rebecca Farm is Petite Flower, an eleven-year-old Thoroughbred mare owned by Caroline and Sherrie Martin. In the CCI2* division, World Equestrian Brands is cheering for sponsored rider Hawley Bennett-Awad. Bennett-Awad is competing on Bodark, a 2007 Thoroughbred gelding owned by Jan and Jerry Hawthorne. 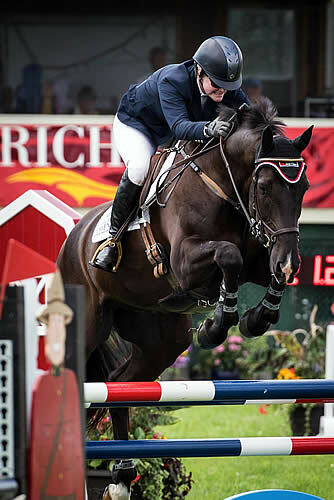 Originally from Canada and currently located in Temecula, California, Bennett-Awad has represented Canada in the Olympics and also provides training services to riders of all levels. She is a strong believer in the importance of flatwork, and credits it as a secret to her success. 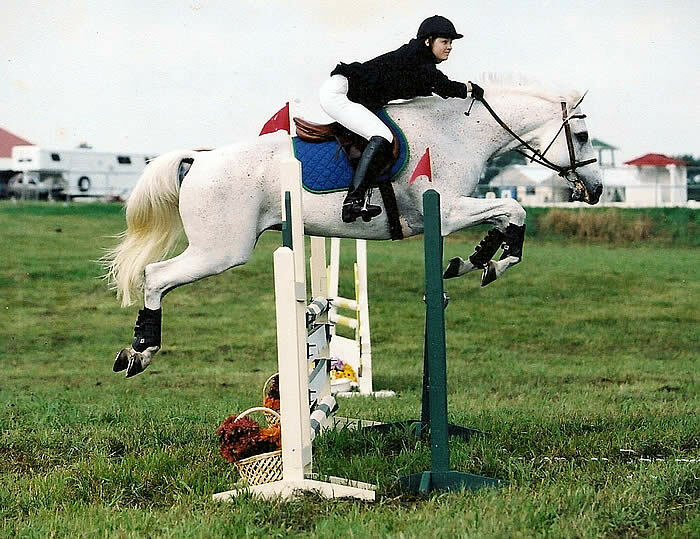 Bennett-Awad is also competing in the CCI1* division on High Duty, a 2009 Thoroughbred gelding also owned by the Hawthornes, as well as on Cheval de Tonnerre, a 2007 Irish Thoroughbred owned by Ina McRoy. Of course, part of the fun of a horse show is socializing with fellow equestrians and enjoying the atmosphere of excitement. Moore is enjoying being back in Montana to show her company’s support for Rebecca Farm. “The huckleberry pie is also a big draw!” she added. World Equestrian Brands wishes excellent rides for Davidson and Bennett-Awad, and invites everyone at Rebecca Farm to stop by Gallops Saddlery’s booth to see the World Equestrian Brands products that top eventers like Davidson and Bennett-Awad always have on hand. For more information about World Equestrian Brands and the tack and equipment it offers, visit www.worldequestrianbrands.com or call 1-888-637-8463. 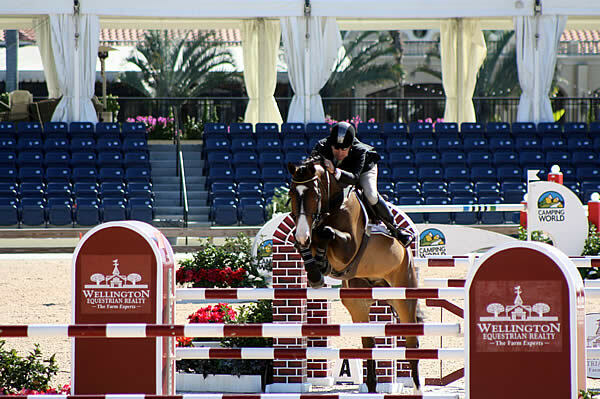 Wellington, FL (December 16, 2013) – World Equestrian Brands (WEB), a company dedicated to providing equestrians with the finest products on the market, is excited to recognize Buck Davidson for his most recent outstanding performances. Davidson, an international 3-day event rider, recently took home the blue ribbon by winning the CCI3* at Galway Downs on board Petite Flower, and also took a second place in the CCI3* division riding Park Trader, clinching the title of Reserve National Champion at the Dutta Corporation/USEF National 3* Eventing Championship. 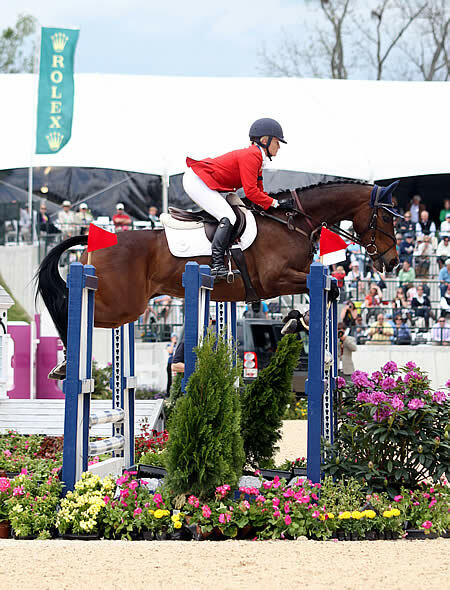 Davidson was also named the United States Eventing Association Rider of the Year for 2013, and is currently ranked 3rd in the FEI HSBC Rankings. World Equestrian Brands salutes Davidson as he continues to ride to more victories in his Amerigo Saddles. The high performance saddles and strap goods from Amerigo and Amerigo Vega are unrivaled worldwide. Designed by Peter Menet, Amerigo saddles are handcrafted, and are designed using a scientific approach by integrating the biomechanics of horse and rider to improve comfort and performance. Understanding the dynamics of motion and what the horse’s body needs to be capable of at the top levels of all disciples is Amerigo’s strength. All Amerigo saddles are fit using a unique measuring system to ensure the proper fit for both horse and rider. Amerigo’s goal is to provide comfort for the horse and rider and to enable them to be balanced and free to perform. For more information about World Equestrian Brands, visit www.worldequestrianbrands.com or call 1-888-637-8463. Wellington, FL (September 27, 2011) – Dressage riders competing on the 2012 Dressage circuit in south Florida will have the opportunity to win prizes from World Equestrian Brands extensive line of tack and equestrian products thanks to a new award called “Tack Matters.” Sponsored by World Equestrian Brands, the US distributor of Amerigo saddles and strap goods, Vespucci, E. A. Mattes, and Equilibrium products, the “Tack Matters” Award recognizes riders competing in functional, beautiful and well-fitting tack. The Vespucci, Amerigo and Amerigo Vega products carried by World Equestrian Brands are designed by Peter Menet, who has developed a following among top riders in the world as an expert saddle, bridle and equestrian product designer. “Peter follows the philosophy of using the natural biomechanics of the horse to create accessories and tack that helps optimize your horse’s true potential,” Moore said. Kalispell, MT (August 8, 2011) – While the Event at Rebecca Farm featured an exciting and suspenseful turn of events during the stadium jumping phase in Kalispell, Montana, in the end Hawley Bennett-Awad rode Linda Paine’s Gin N’ Juice to the victory. Buck Davidson and Carl Segal’s Ballynoecastle RM finished a mere one point behind Bennett-Awad with Alexandra Slusher and Christie Campbell’s Last Call landing in a close third. Bennett-Awad, Davidson, and Slusher, all endorsed by World Equestrian Brands, LLC, were thrilled with the results in the CIC3* event, part of the Adequan USEA Gold Cup Series. In addition to sharing the common thread of World Equestrian Brands, Davidson is Bennett-Awad’s coach and Slusher is her good friend. Bennett-Awad was a member of the Silver 2003 Canadian Pam Am team, represented Canada in the 2004 Olympics, was a member of the 2005 World Cup Finals and in 2009 she won the Bromont CCI***. Buena Vista, VA (July 20, 2011) – A gorgeous, hardcover book depicting the bloodlines of selected sires of Germany is a must-have library addition for breeders and riders everywhere. 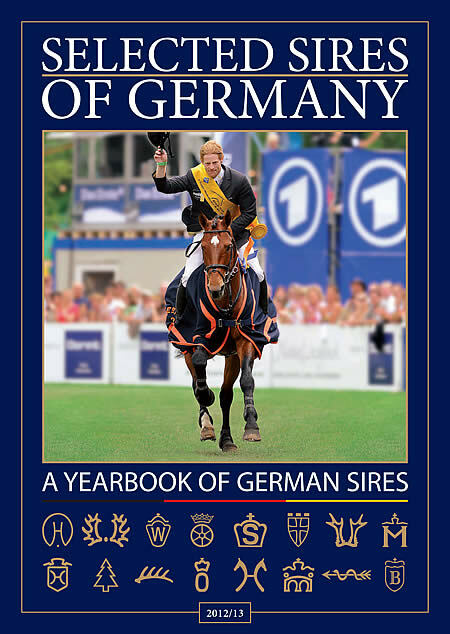 World Equestrian Brands is offering the 2012-2013 edition of “Ausgewahlte Hengste Deutchlands,” which translates to “Selected Sires of Germany,” and information on the book will be available through their website. “This book is a must for breeders and riders, as it is a great resource pertaining to many of the bloodlines people are investing in. The photography is excellent and bloodlines are depicted in a tree showing four generations of every horse in the book,” said Robin Moore, President of World Equestrian Brands, the United States distributor of Amerigo saddles and strap goods, Amerigo Vega saddles, Vespucci, E. A. Mattes and Equilibrium products. For more information on World Equestrian Brands, visit their website at www.worldequestrianbrands.com or call 1-888-637-8463. Buena Vista, VA (July 18, 2011) – Three-day eventer Kelly Jeffries’ sense of humor helped her win a photo caption contest, and a brand new 100% natural sheepskin Mattes Pad, during a contest held by World Equestrian Brands. Specializing in high performance equestrian products, World Equestrian Brands offered the Mattes Pad as a prize during a photo caption contest on the Eventing Nation website. World Equestrian Brands is the United States distributor of Amerigo saddles and strap goods, Amerigo Vega saddles, Vespucci, E. A. Mattes and Equilibrium products. Jeffries evented for many years up to the Preliminary level and currently owns an American Warmblood mare and a Thoroughbred gelding. “My new horse is just learning how to jump so we will stick to dressage for now,” she said. Buena Vista, VA (July 14, 2011) – Professional trainers, amateur riders, Pony Club members, veterinarians, farriers, massage therapists and a variety of other equine enthusiasts recently had the chance to learn about leg protection and therapy practices, as well as the influence tack has on the biomechanics of the horse in sport, during seminars presented by World Equestrian Brands, LLC. The US distributor of Amerigo saddles and strap goods, Amerigo Vega saddles, Vespucci, E. A. Mattes and Equilibrium products, World Equestrian Brands is a strong believer in educating horse enthusiasts of all disciplines. Buena Vista, VA (April 20, 2011) – Grand Prix rider Aaron Vale has solidified his position as one of America’s greatest show jumpers, riding into the history books with over 165 Grand Prix wins and more than three million dollars in prize money. Vale rode in his first Grand Prix at the tender age of 14 and said he is always looking for an advantage when competing — and that riding in an Amerigo Saddle gives him that advantage.